150 dia. fits a hole 90mm to 105mm direct on tank. 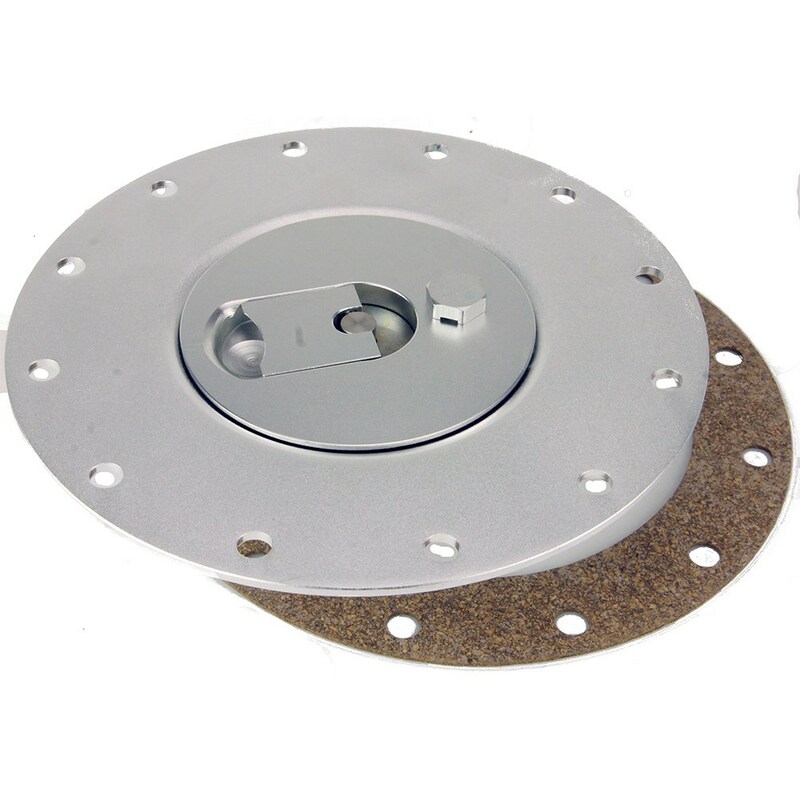 2.4mm thick flange with a removable, vented cap. Twelve, 6.6mm holes on a 134mm PCD. nyloc nuts and plastic sealing washers. Use with caps #AERO4S, #AERO4B and #AEROCH. Accepts 16 standard blade fuses.